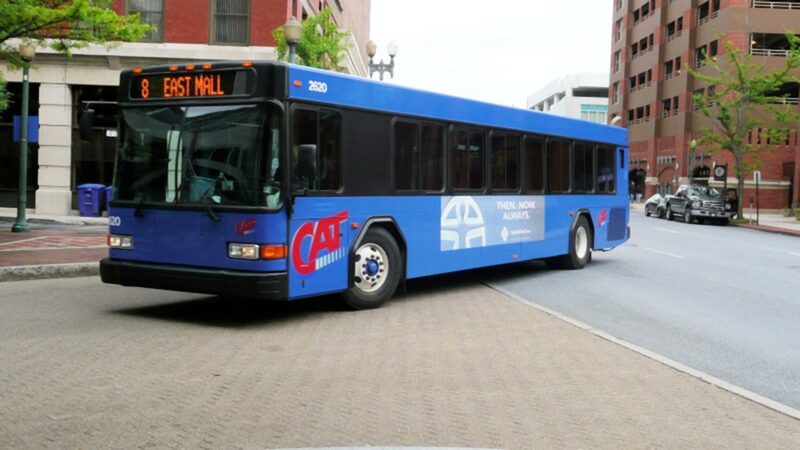 Capital Area Transit provides public transportation to and from Hershey to downtown Harrisburg. Commuter Services of South Central Pennsylvania provides free services to commuters and employers in Cumberland, Dauphin, Perry, Lebanon, Lancaster, and York Counties. Matches people who live and work near one another and commute at the same time. 15-20 people share a ride in a commuter van. Provides assistance in obtaining information for you on the transit system in your area. Answers questions 24-hours a day. Works with employers to establish commuter benefits to meet commuting needs. When an employer and employee enroll and the employee uses the commuting options at least twice a week, a ride will be provided for an employee or family member’s illness and for approved unexpected overtime. Commuters are reimbursed based on a taxi receipt or according to their company’s mileage policy, up to four emergency rides per year.